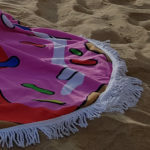 Cute beach towel Simpson’s doughnut pattern, soft and fluffy beach blanket. 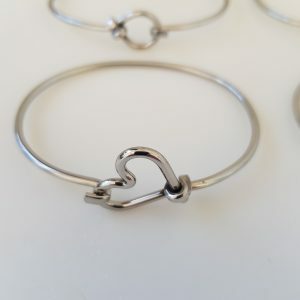 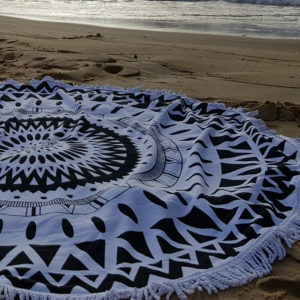 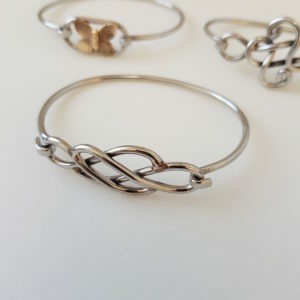 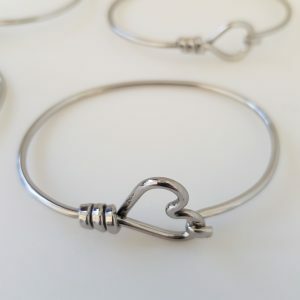 Perfect for the beach. Approx 150cm. 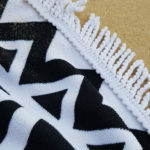 With 5cm long white tassles. 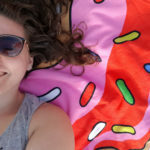 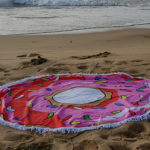 Simpsons Doughnut Cute Beach Towel. Ideal for fun in the sun..
Finding comfort and relaxation is aultimately where we all want to end up. 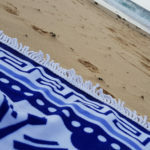 Few places are more fun and relaxing than the beach. 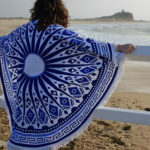 Now the weather is getting warmer why not roll out your blanket in the sunshine. 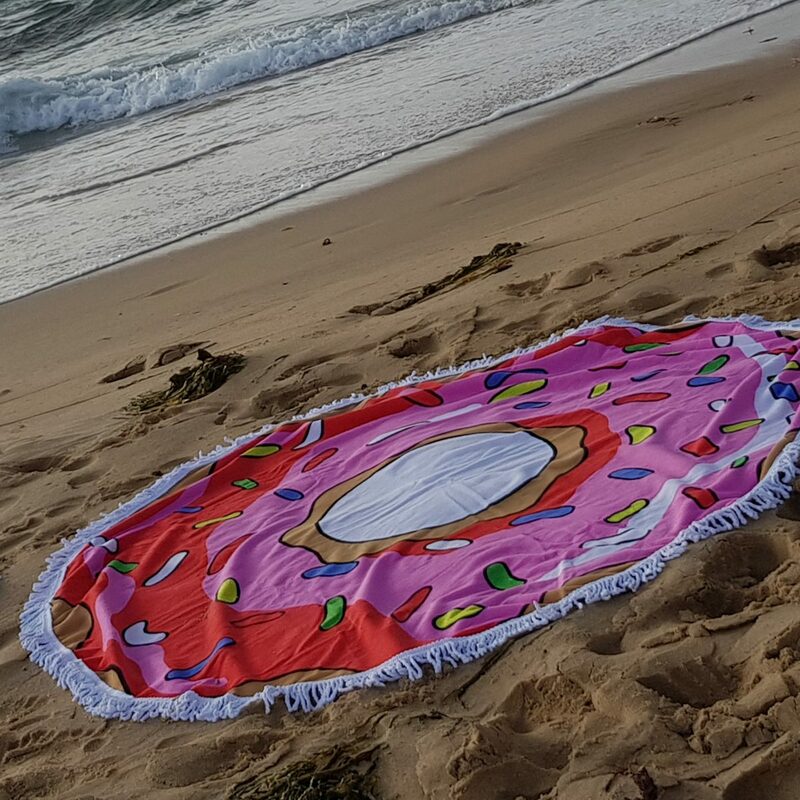 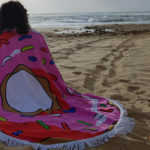 Soft and fluffy beach towel with a hot pink doughnut print. 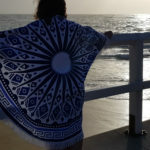 White blanket, multi colour print with white tassles. 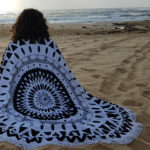 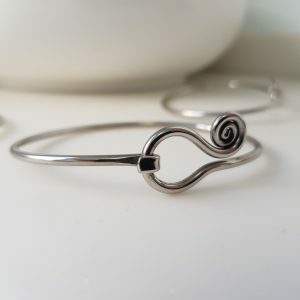 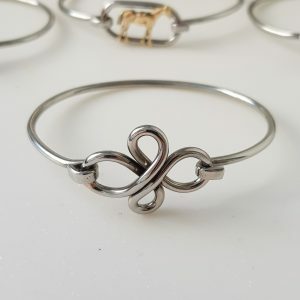 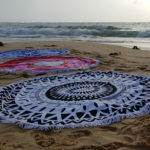 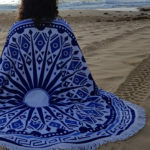 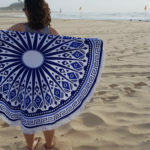 Available in a BLUE mandala design.